Players often fail in defending their village because they do not know how to react or they react too late. With a successful defence, a player can harm the attacker and even prevent the conquering. Spies are often underestimated but they are very cheap and can prevent attacks very easily. A player looking for a conquer-victim will often be put off your village if his attempt to scout it fails as there is a risk his army will get wiped out. In addition, even if the attacker succeeds in scouting your village, with spies you will know that you have been scouted. This defence structure increases the defence value of the troops inside the village by up to 81% (for exact values look at the building pages). With this bonus even a relatively small army can be devastating. A good alliance not only discourages possible attackers with its name but will also provide you with defence in case of an attack. Diplomacy is important! If possible, each village should have a Town Hall level 10 so that you can start big celebrations which will influence administrators in your favour. Furthermore the celebrations will grant you culture points to help you found another village. This attack is mostly done with fast troops and used to surprise the defender. Often used in combination with conquering attack to confuse the defender so that he is unable to know which attacks are real. Conquering attacks are mostly done in several waves which contain catapults and rams making them very slow. The velocity of your army depends on the slowest unit participating. Rams and even more so catapults are necessary to conquer a village (by destroying the palace or residence), but they are the slowest units for each tribe. When you see an inbound attack you can check its origin via the rally point and work out what the slowest unit in the attack is. You can use this travel time calculator to help you. As you need to see an inbound attack as soon as possible after it has been launched, activity is an important factor. Furthermore several waves are signs of a conquering but remember that they might be fakes. Also check the village that has been chosen as victim. A 300 inhabitant village won’t be target of a conquering in most cases (although they might be if they are a 9 or 15 cropland). A high population village or a strategic village like your army camp/training village are likely to be a target. The conquering waves are: a cleaner which will destroy the enemy’s defence (including walls in most cases), followed by catapults (to destroy the palace or residence) and then the administrators (to lower the loyalty). This scheme is most common but does not apply to every conquering. Sometimes they are combined or divided by additional cleaning waves or fakes. Also the attacker will try to time the attacks so that the conquering will take place in very few seconds to make it so that the defender will be unable send defence in-between. Defenders have several different ways to react depending on the initial situation. First of all, even if you have lost all hope, using a suitable strategy may harm the attacker and you will learn how to react better ready for the next time when someone wants to conquer your village(s). Always keep in mind that the attacker also had to learn how to conquer a village and had to improve his strategy. Every inbound attack is a way you to improve you defensive skills! This strategy involves filling your village with as many defensive troops as possible and hoping that they are enough to crush the attacker’s army. 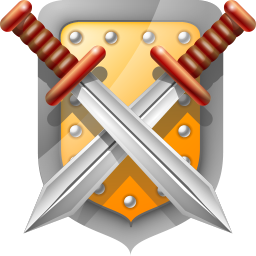 Keep in mind that you should use mixed troops because you do not know if you will be fighting infantry or cavalry. The troops should be in the village before the first attacks arrives. You can even combine armies of different villages and players in one huge defence army which the attacker cannot. You should write messages to your alliance and friends to ask for sufficient crop so that the troops won’t starve to death before it comes to the fighting. Using this strategy is a bit iffy, especially against well trained attackers, but it can be done successfully with very few troops. If you aren’t sure that you can do this but you want to try it, you should combine it with the wall for your own safety. In this strategy, the cleaning wave is ignored and defensive troops will be timed in between this cleaning wave and the catapults. This means that you will just lose some resources, perhaps a building and very few troops. Keep in mind that the attacker might ask his friends to send a second cleaning wave or he will attack in such a way that the waves will arrive in quick succession so that it will be almost impossible to send defence in-between. In this strategy you will defend with big celebrations. They lower the effectiveness of enemy senators/chiefs/chieftains by up to 5% so that the attacker will need to send more of them. If the attacker sends too few of them your villages loyalty will not be lowered enough. This strategy is very, very risky as a cautious attacker will always send enough senators/chiefs/chieftains to outrun a big celebration’s effect. This hero item raises the loyalty in the home town of the hero for 1% for each tablet, to a maximum of 125%, so that the attacker will need to send more senators/chiefs/chieftains. If the attacker sends too few of them your villages loyalty will not be lowered enough. This strategy is very, very risky as a cautious attacker will always send enough senators/chiefs/chieftains to outrun this effect. When you see that you have an incoming attack which will arrive in several hours you can try to attack the attacking village to steal valuable crop. If you succeed in either stealing the crop or destroying a granary, one or two of the attacking troops will most likely starve to death before they arrive. This counter attack can even be started by one of your allies who are nearer to the attacking village so that the starvation will start earlier. With this strategy, it is important that the attacker goes off line after launching the attacks or does not have enough time to defend the village. Conquering the attacking village will not only stop the incoming attack but also seriously harm the attacker. His troops and the village will be gone. Unfortunately, this method of stopping an inbound conquering mostly fails due to the lack of time as your troops will need about the same time to reach the attacker as the attacker needs to reach you. However, with the help of near by allies, this should work. With this tactic you will “allow” the attacker to conquer the village but immediately afterwards your Off-army will arrive and destroy the remaining troops (the troops accompanying the senator/chief/chieftain obtaining the village will stay there). When this happens, the attacker will not only lose the village but also his precious troops stationed there. Using a senator/chief/chieftain will get the village back into your hands but you should be quick about it as the original attacker may build a residence or palace. Keep in mind that the attacker might include defence in his final wave which will defend the village until more defence arrives. Finally, it is a good idea to build a residence or palace directly after the conquering to raise the loyalty again. This is a variation of the last strategy but can only be accomplished when you have enough time to destroy your own residence or palace and lower your loyalty to below 20%. After this, the you should allow the attacker to capture your village as described before but this time the first of the attacker’s senators/chiefs/chieftains will conquer the village and every wave afterwards will crash into the “defenders”. After this you can re-take the village without fearing that the attacker might send another wave. This is a devastating and devilish strategy. Hint: you will lose another (random) building besides the residence or palace due to the attacker’s catapults! In many cases you will not have to deal with a professional player and even if you do no one is perfect. The mistakes of the attacker should be used to your advantage regardless of who attacks! Every chance you get to prevent the conquering is a bonus. Isolated attack on less important villages (view point of the attacker!) while many waves are attacking only one village. Many different times of arrival of attacks (a time slot of several minutes is enough to know that the attacker is certainly no pro). If the attacker includes his/her allies then you can be relatively certain that they will send either an additional cleaning wave or catapults, especially if the attacker is weak. But beware, the ally might have sent just some additional fakes after all! Lag occurs from time to time when the server has too many things to calculate. This slows down the procession of events (request of pages or confirmation of actions) ranging from several seconds or several minutes. This will hamper both, the attacker and the defender, alike and can ruin every plan so that the catapults will arrive before the cleaning wave arrives. Complete server failures are very rare but can be devastating in the “wrong” moment. They could make it so that the attacker barely manages to send the catapults and is thereafter unable to do anything at all due to the fact that a database is unavailable. They could also harm the defender by making him unable to get the defence needed.